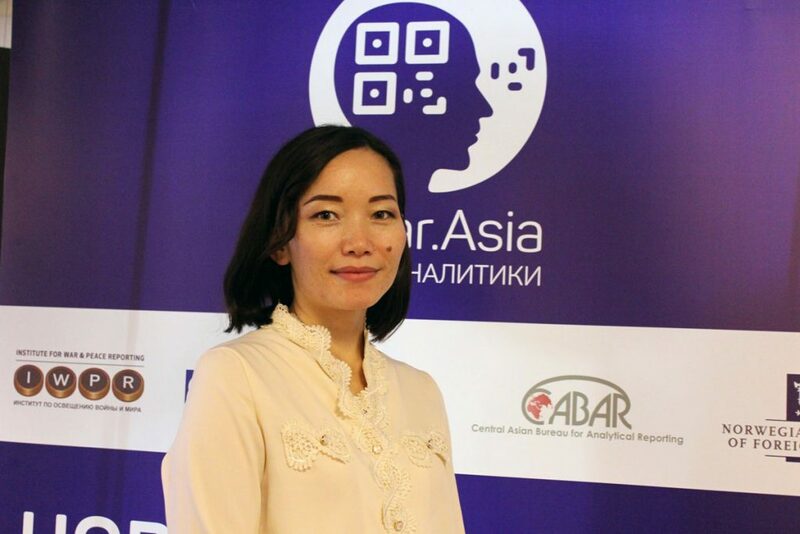 The participants of the regional meeting have been the alumni of summer schools of analytics and analytic journalism of CABAR.asia, as well as the newcomers. 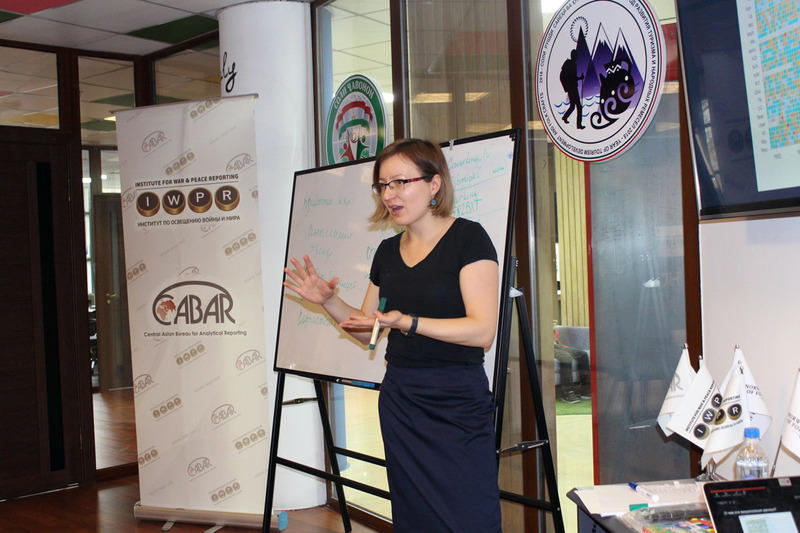 Since 2018 the representative office of IWPR in Central Asia has organised a series of intensive theoretical and practical programmes, worked at the formation of a new pool of young experts and analytic journalists, who are able to provide quality analysis for state bodies and general public. On the first day, participants have discussed the topics and trends that would be relevant in their countries in 2019, as well as diverse aspects of their coverage. Afterwards, separate sessions on the standards of writing, improvement of reports, correction of errors have been organised for journalists and analysts. Lola Olimova, an editor of IWPR, has told the journalists about the standards of writing of news analytics, peculiarities of work and selection of topics. And the alumna of the summer school of analytic journalism, Asel Sooronbaeva, has held a session about the journalism ethics. The second day of the event has been dedicated to how experts in Central Asia can influence the political and managerial decision-making process and what problems exist. The following speakers have delivered presentations about situations in their home countries: Shokhrukh Abdullaev (Uzbekistan), Timur Toktonaliev (Kyrgyzstan), Muslimbek Buriev (Tajikistan), and Askar Mukashev (Kazakstan). Kakhramon Bakozoda, a director of Zerkalo [Mirror] think-tank, has told about the mechanisms of interaction between the expert community and decision-makers. Also, a regional expert meeting has been held as part of the meeting of alumni of CABAR.asia summer schools. It has been dedicated to hydropower engineering issues in Central Asian states. Sherali Rizoev, an analyst of the Centre for Strategic Studies at the president of Tajikistan, has told the participants about the launch of the first unit at the Rogun Dam, the economic and political aspects of this issue. 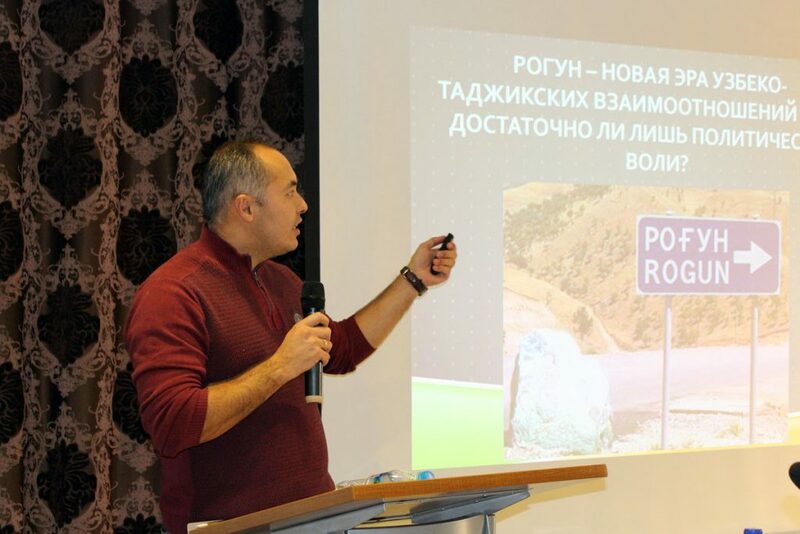 Farkhod Amidzhonov, deputy director of the Central Asian Institute for Strategic Studies, has delivered a presentation about the position of Tashkent and the impact of the Rogun Dam on the hydropower issue in the region. Political analyst Zhavlon Boimat has told why Uzbekistan has changed its position regarding the construction of the dam in Kyrgyzstan and Tajikistan. 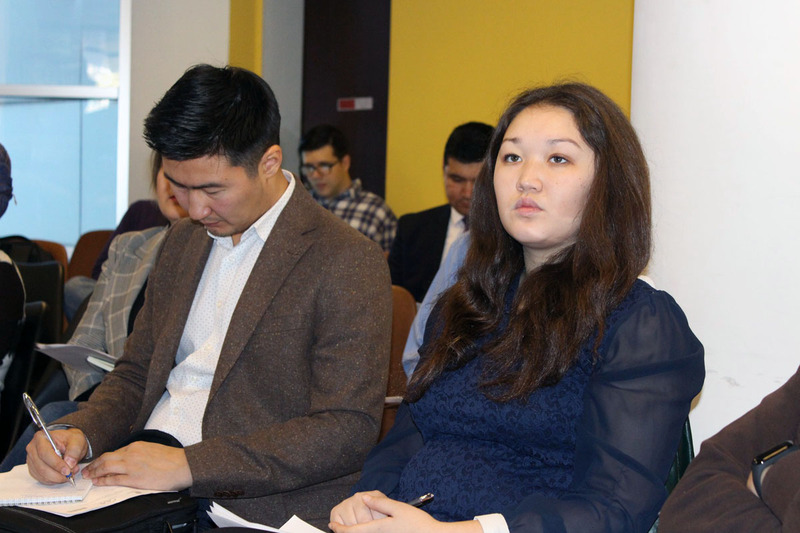 Positions of Kyrgyzstan and Kazakstan on this issue have been explained by analyst Amangeldi Dzhumabaev and political analyst Meruert Seidumanova. The final day of the event has been very intensive. It has been dedicated to practical skills and online tools, which can be helpful both to journalists, and to experts. Anastasia Valeyeva, an alumna of the summer school of analytics, has held a session on data visualisation. She has told about the main principles of work with numbers, data sources, and also how visualisation is used in analytics and which services should be used. Participants have worked with numbers in practice and tried to create their infographics. A session on fact-checking has been important for the participants: why it is important for journalists and experts and how to verify information. It has been held by a media trainer, Farishtamokh Gulova. “If you, as journalists or activists, understand it’s fake news and its purpose is to get likes and clicks, you can use it in future. There are certain rules of fact-checking. First, find the original source. If you cannot find it, you should find at least a few independent sources who can confirm information,” Gulova said. At the end of the event, participants have summarised the first regional meeting of alumni of summer schools of analytics and analytic journalism. Similar meetings are expected to be held regularly to improve the skills of participants and to establish transboundary cooperation, as well as to strengthen the forum of Central Asian experts and analytic journalists.